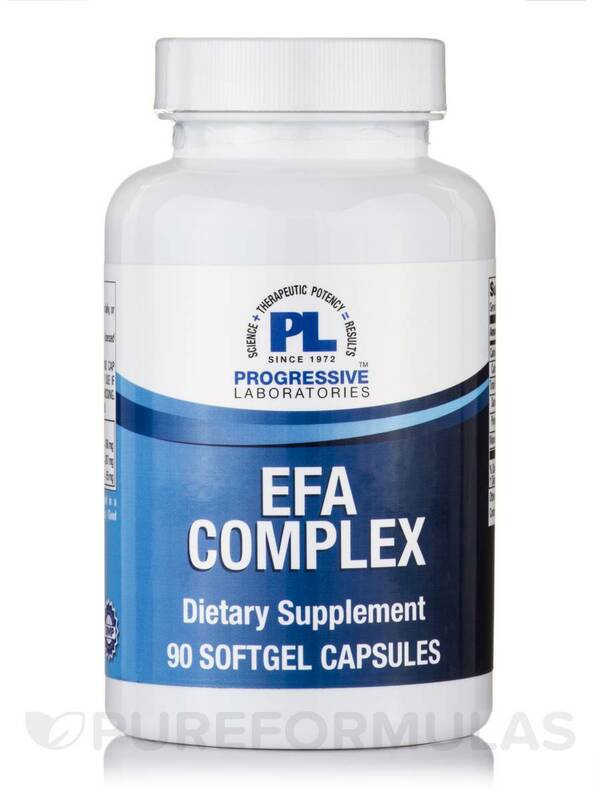 Essential fatty acid supplements‚ like Progressive Labs' EFA complex‚ could be necessary for certain people if they aren't receiving the proper amounts of these integral nutrients. Essential fatty acids are called such because they are a necessity for good health. However‚ just like vitamins‚ our bodies cant synthesize EFAs‚ which means we must acquire them through food‚ or an essential fatty acid supplement. Found primarily in parts of Europe and North America‚ Evening Primrose Oil is a plant that has been utilized for medicinal purposes for years. Studies and speculation suggests that evening primrose oil may contain an omega-6 fatty acid‚ Gamma-linolenic acid (GLA). 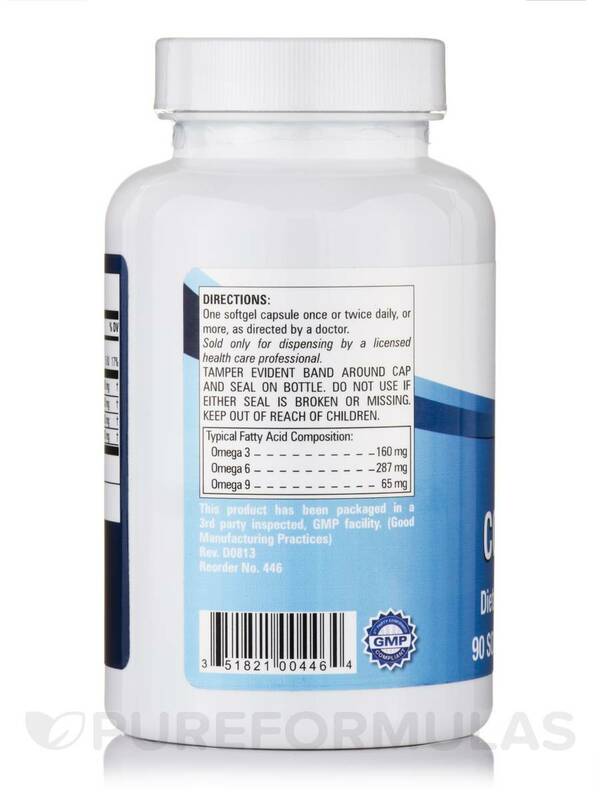 These omega-6 fatty acids have been suggested to possibly reduce inflammation and affect the growth of cells. Derived from the leaves and flowers of the plant‚ the borage oil found in EFA Complex also contains GLA (gamma-linolenic acid) like evening primrose oil. As such‚ it also may help with symptoms of inflammation. Some also suggest that the flower of the borage plant may exhibit antioxidant properties. 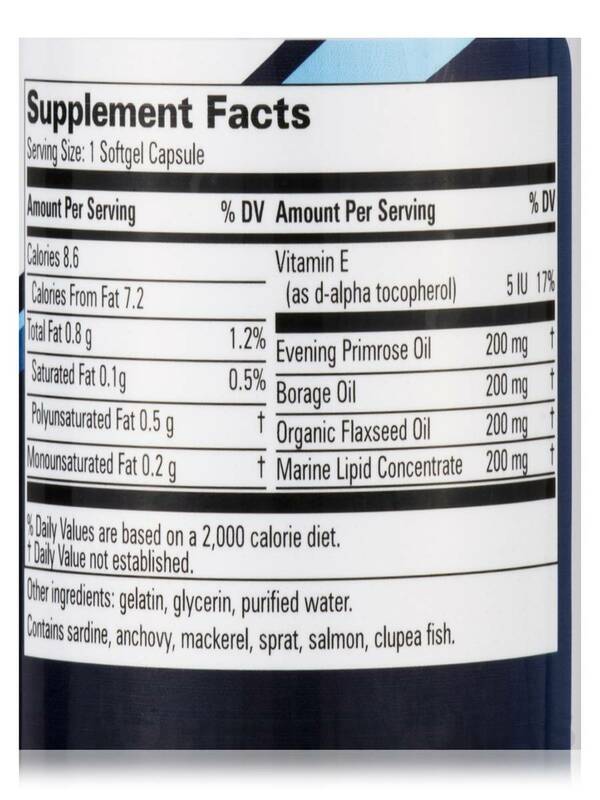 EFA Complex features flaxseed oil because not only does this ingredient contain certain Omega-6 fatty acids‚ like evening primrose and borage oil‚ but omega-3 fatty acids as well. For instance‚ flax seed oil contains ALA (alpha-linolenic acid)‚ an omega-3 fatty acid that some suggests can help support a healthy cardiovascular system by possibly promoting normal heart rhythm‚ reducing the chances of clots‚ and more. 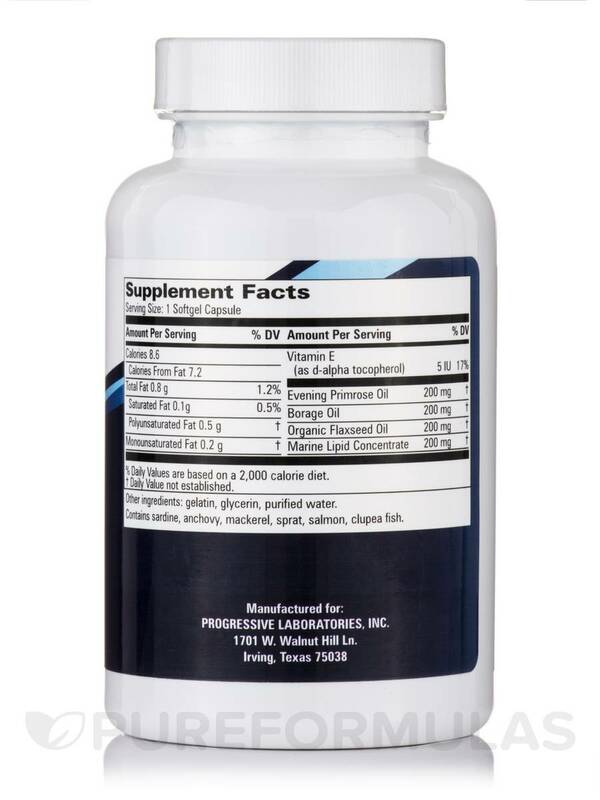 EFA Complex by Progressive Labs is also formulated with Marine Lipid Concentrate‚ which contains fatty acids from certain fish. 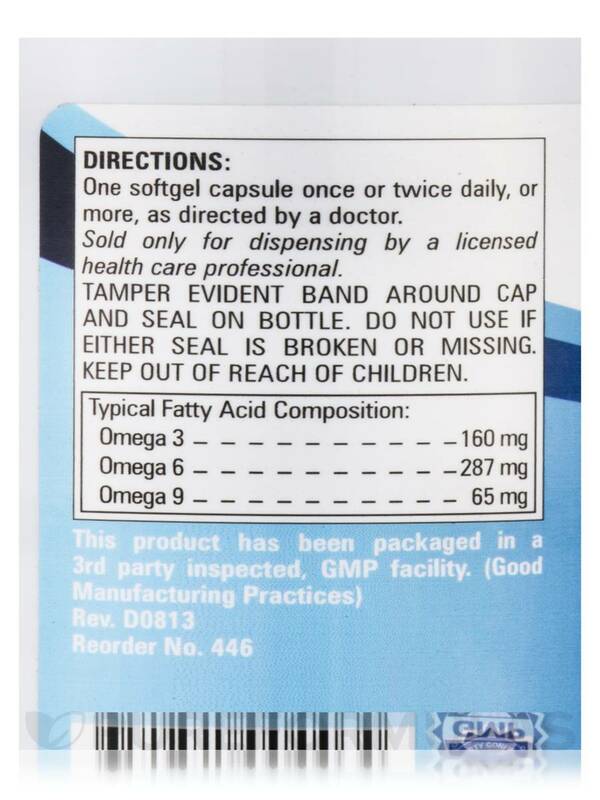 One softgel capsule once or twice daily‚ or more‚ as directed by a doctor.